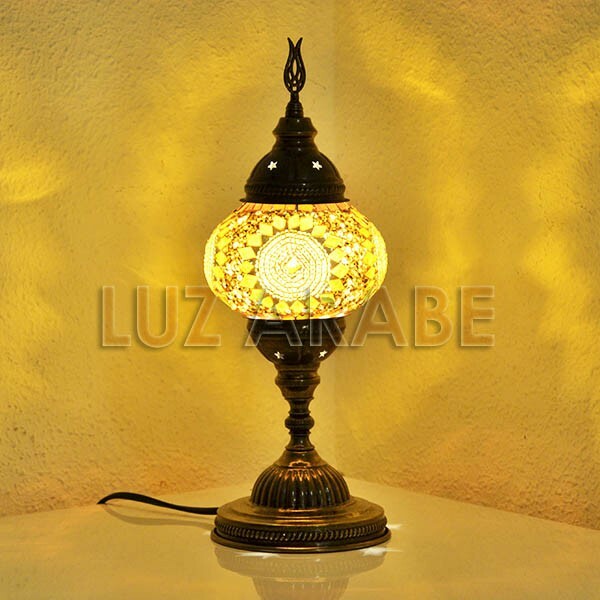 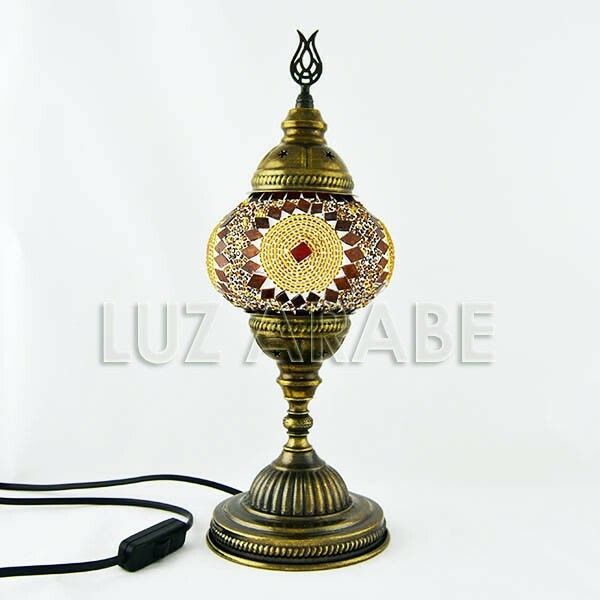 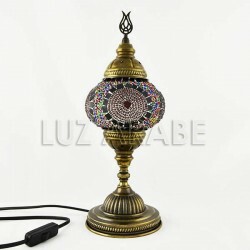 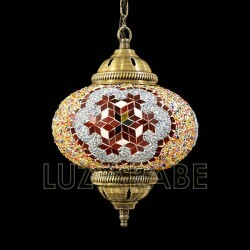 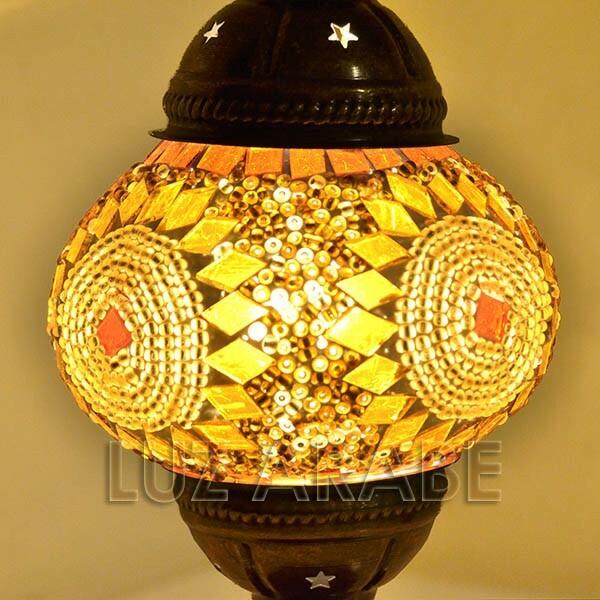 Turkish table lamp of bronzed metal and sphere glass, inlaid with mosaic crystals. This lamp is dominated by the amber color, with unique handcrafted design. 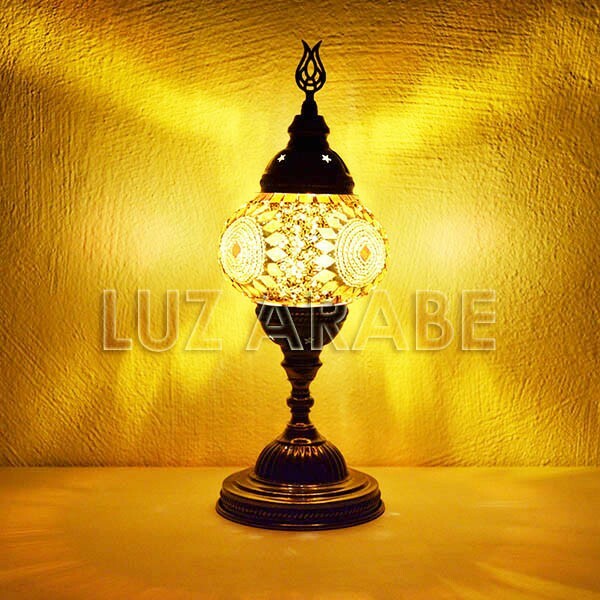 It is perfect in the corners of the salon, to give very prestigious effect.